Waltz & Sons can help you transform you deck or backyard into an “after” scene from your favorite home improvement show, without hiring a landscape contractor, or spending a ton of money. After all, so many of the show’s “wow” moments and big reveals are fueled by one awesome, affordable, environmentally friendly ingredient: Propane! A heated outdoor space filled with convenient cooking appliances, and amazing lighting doesn’t just extend the outdoor season, it extends your living space. It’s like a brand-new home addition without the hassle and expense. We will professionally install your outdoor appliances regardless of where you purchase them. You can even connect these outdoor living appliances to your existing home system to make them even easier to utilize. We want to make your outdoor sanctuary come to light, and help you and your loved ones enjoy endless Summer fun! Propane is an easy way to warm up outdoor spaces. PROPANE FIRE PITS & TABLES – A propane fire pit or table is an inviting, safe and environmentally friendly way to cozy up a deck or yard. 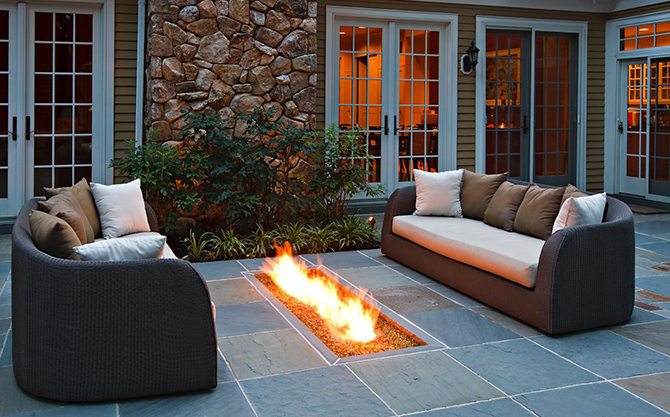 Propane fire pits and tables come in many styles and materials, from traditional stone and burnished copper to sleek iron and cast concrete. You can even build your own with custom burners to fit any décor. They turn on and off with ease so you can enjoy the fire pit for hours… or just a few minutes. 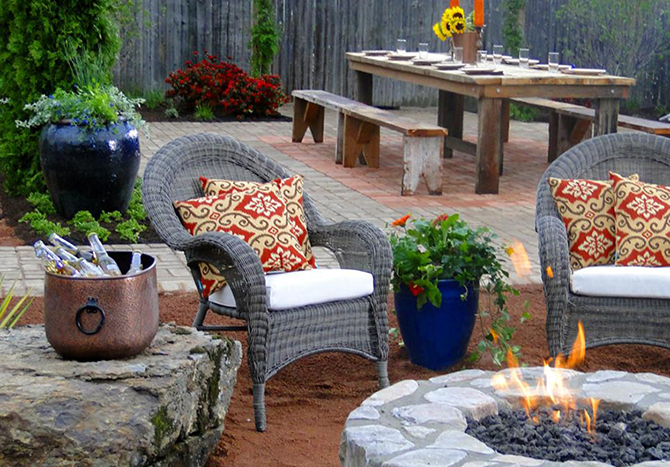 The warmth and atmosphere they create will be the center of your outdoor sanctuary. PROPANE POOL AND SPA HEATERS – Go ahead and jump on in. Propane pool and spa heaters range from 50,000 to 400,000 BTU/hour and warm water faster and more efficiently than electric heaters. You will use your pool and hot tub more—and enjoy them more—with the help of powerful, affordable propane heaters. Propane can light up your landscaping. PROPANE OUTDOOR LIGHTING – Propane lighting can create an amazing ambience anywhere outside. From rustic tiki torches to traditional gas lamps, propane lights add a natural glamour and glow without adding up big electricity bills. Propane gets things cooking outside. PROPANE OUTDOOR KITCHENS AND GRILLS – Food just seems to taste better when you cook it outside, right?! You can’t believe the range of portable and fixed propane kitchen appliances that are available today! From professional ranges, convection ovens and cooktops to push-button ignition gas grills, you can find the perfect appliances to turn your deck into your dream kitchen. Did you also know you can hook your propane appliances up to your home systems and never run out of propane mid-cookout ever again?! Waltz & Sons has the experience and expertise to properly install a wide range of durable, affordable outdoor propane appliances and amenities—and that matters. With propane heaters, fire pits, lighting, and outdoor cooking areas, you and your family can spend more time enjoying your outdoors. Call Us today for a Free Site Survey and let us help you realize the possibilities of your outdoors!